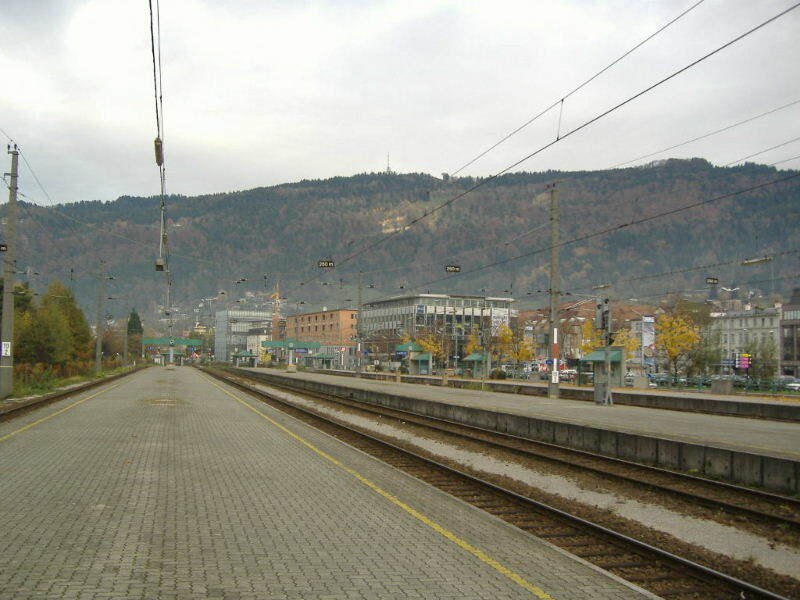 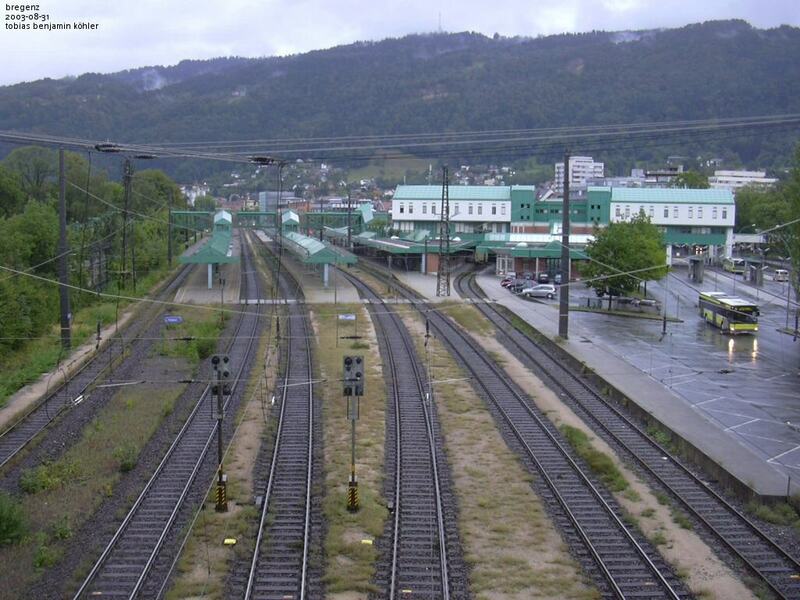 Bregenz, looking away from the station, tracks to Feldkirch and St. Margrethen. 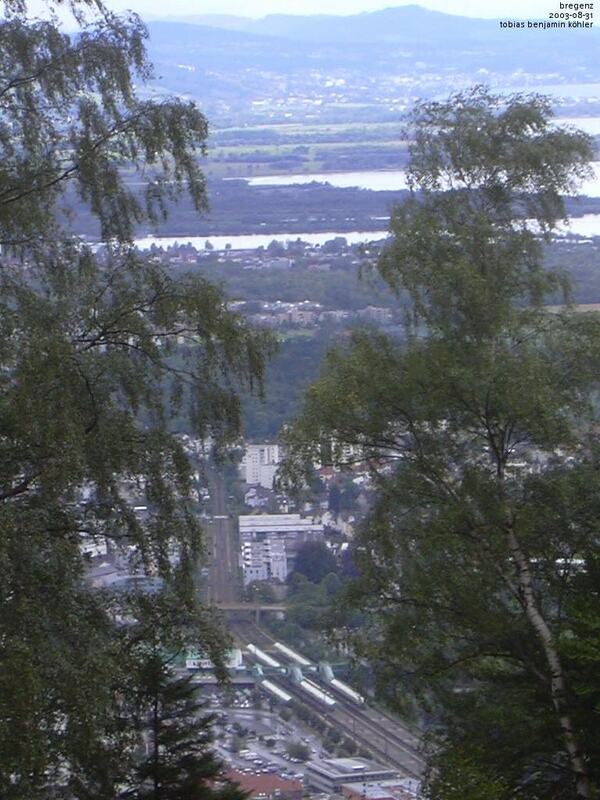 Bregenz, a view from halfway up the Pfänder over the station. 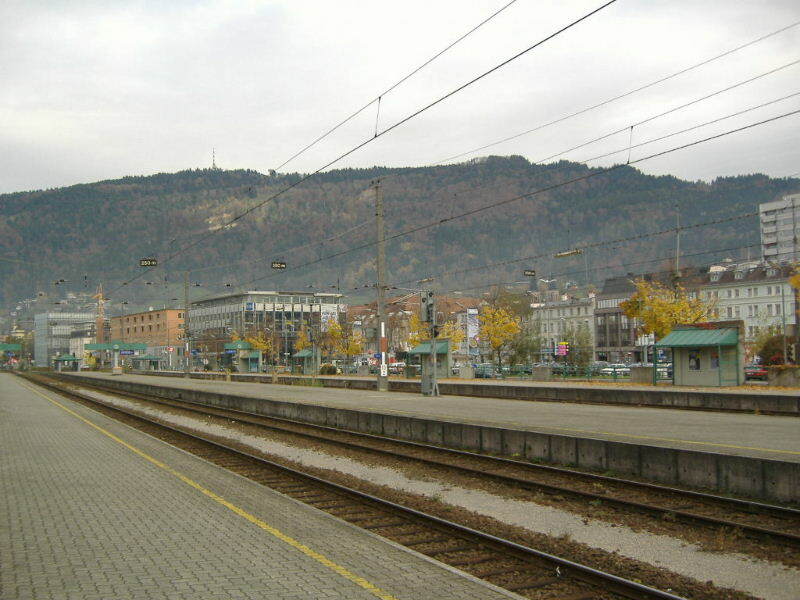 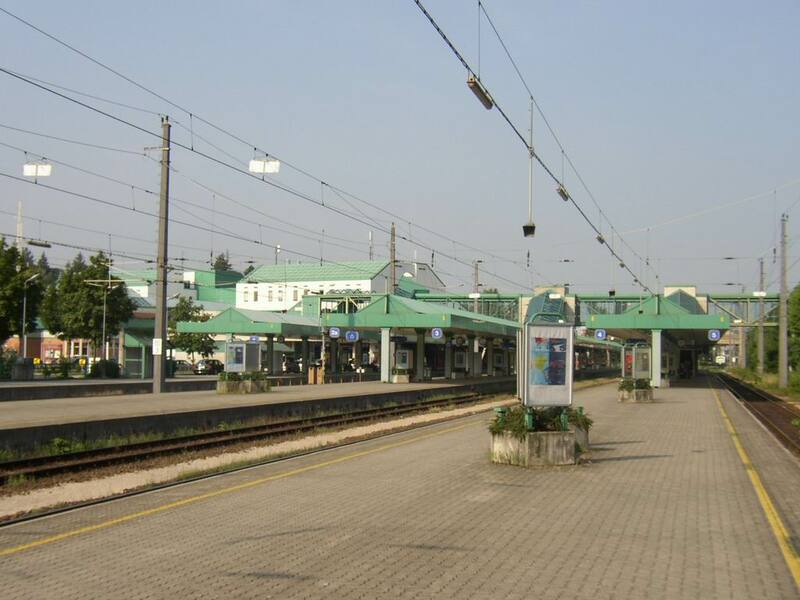 This is the ÖBB station Bregenz, Austrian state capitol of Vorarlberg. 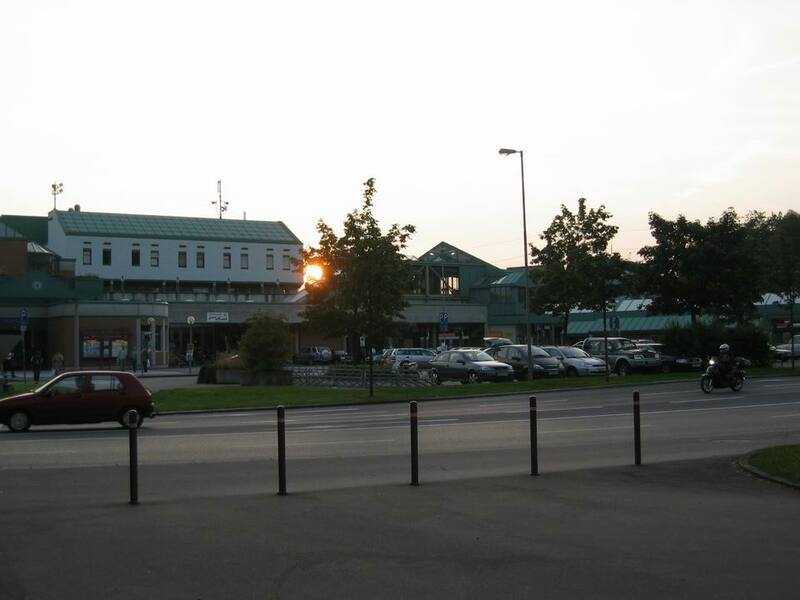 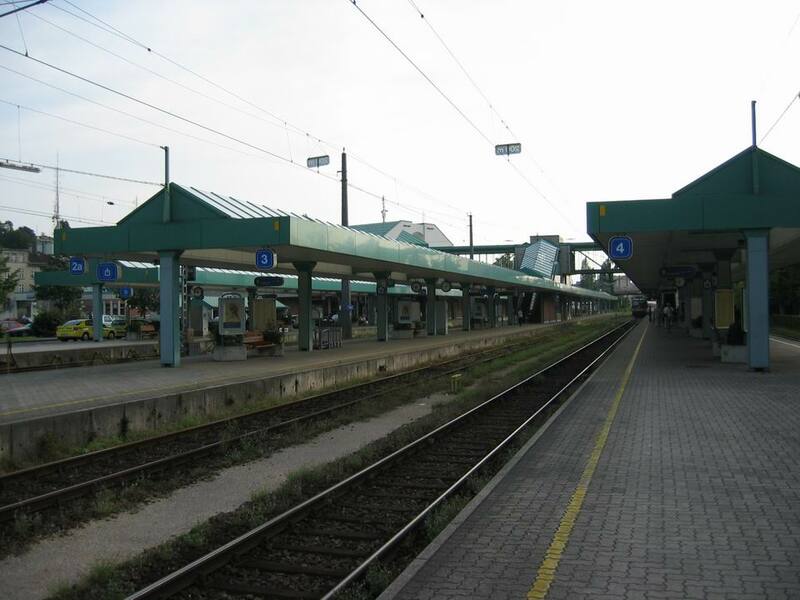 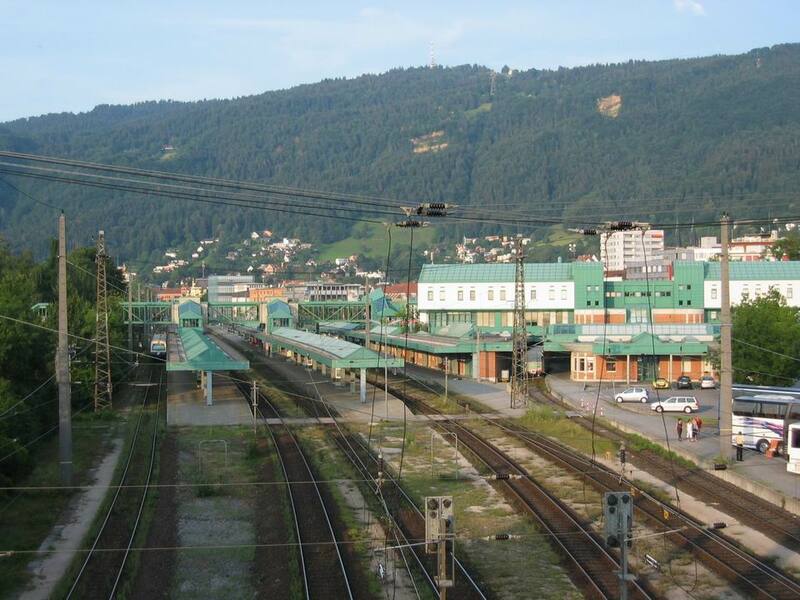 For trains to Feldkirch, Innsbruck and other destinations in Austria to the east, this is usually the transfer station for trains coming from Germany. 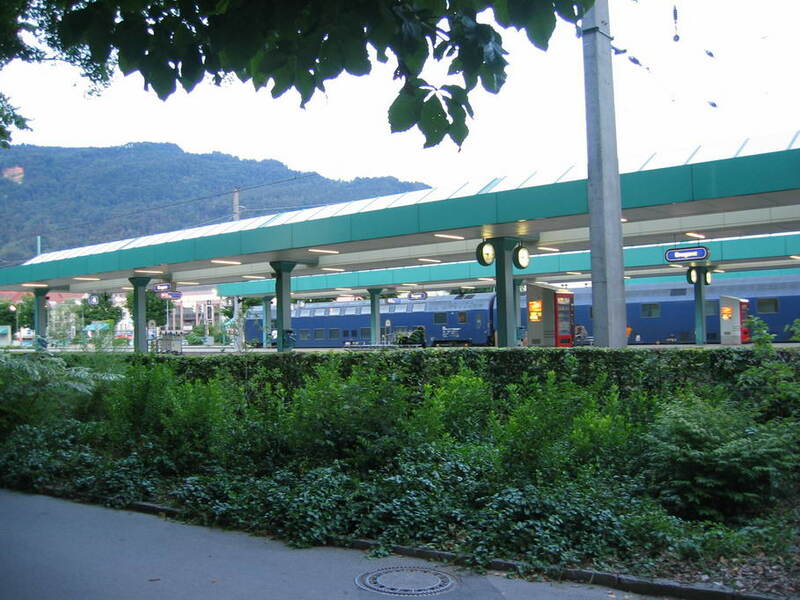 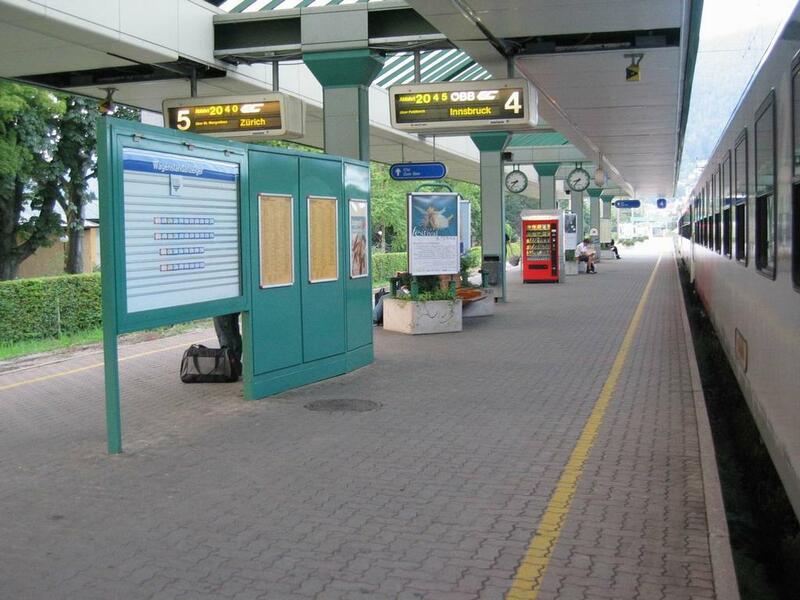 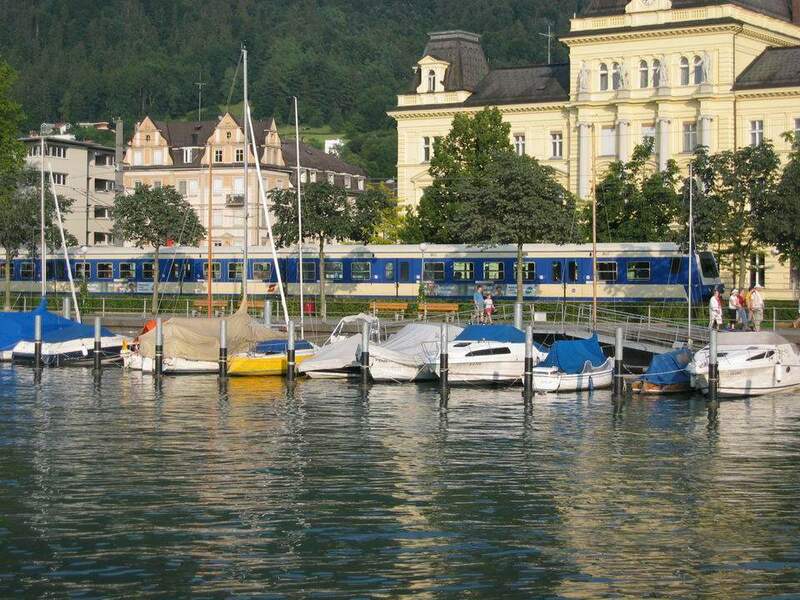 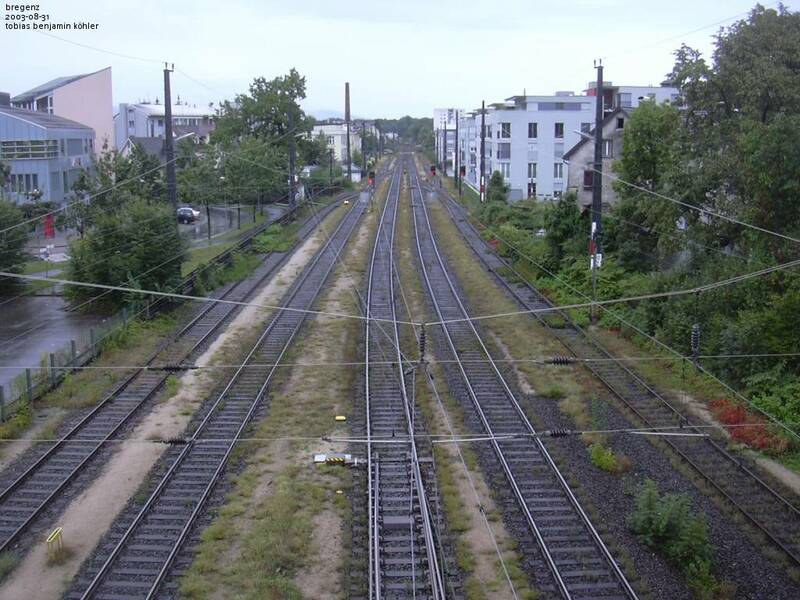 For local trains to southern Vorarlberg and neighboring Liechtenstein and the extreme eastern section of the canton of St. Gallen in Switzerland, there is a local S-Bahn service. 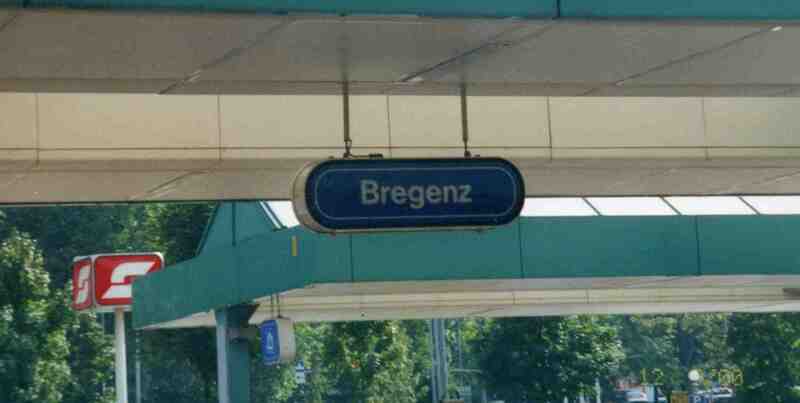 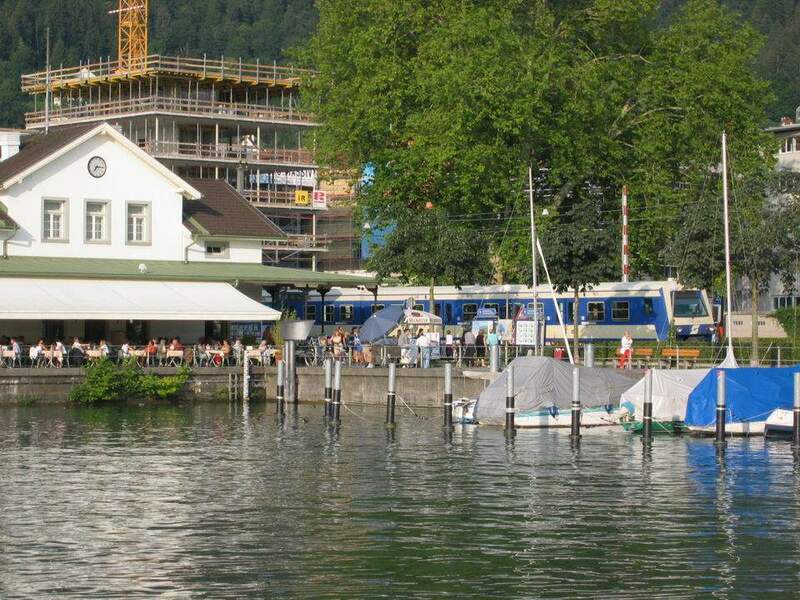 Bregenz station: The beautiful view around the station.